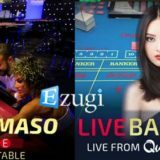 Ezugi is following an industry trend by developing two new live games that are streamed from Land Based Casinos. 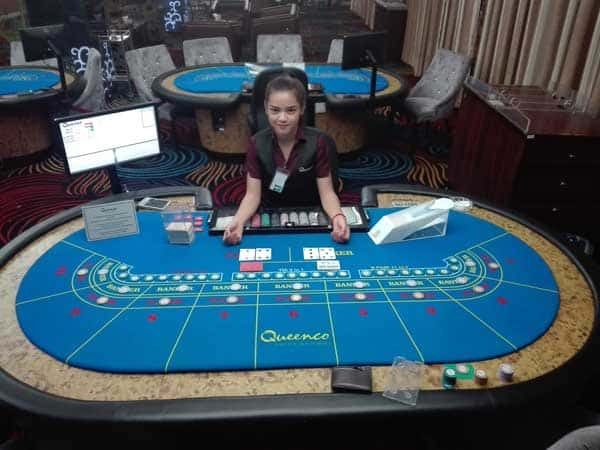 OTT Baccarat gives the option to play live baccarat from the tables at the Queenco Casino in Cambodia. 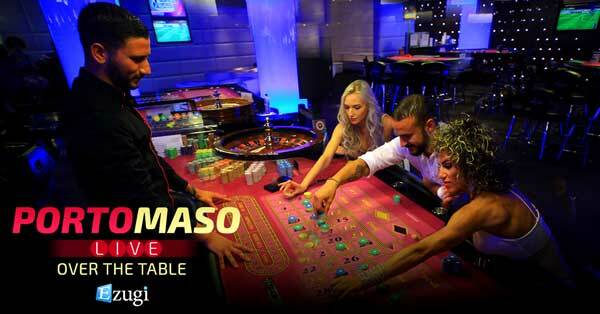 OTT Roulette is live streamed European Roulette from the tables at the Portomaso Casino in Malta. OTT stands for Over The Table. As of June 2017, OTT baccarat hasn’t been released. Ezugi is in the final stages of preparing the game and integration method. 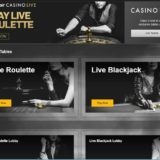 As far as I know, this will be the first land-based live streamed Baccarat table that is operational from any of the live casino providers. Another provider did show me their Dual Play Baccarat when I was at the International Casino Exhibition in London. I guess it’s a case of who launches first will get the bragging rights. 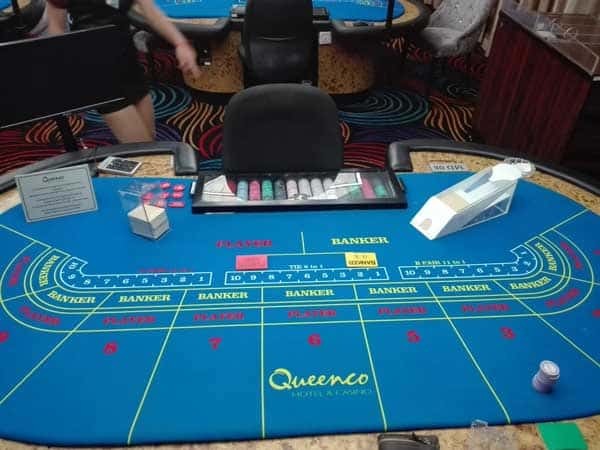 There will be three tables used at the Queenco Casino. I’ve been able to get a few pictures of the table from the live stream that they’ll be using and it all looks pretty good to me. The tables in the casino have 10 playing positions and the game comes with the Pairs side bet. I would imagine that some more changes are needed to this table, like a card scanner and integration for the roadmaps to be displayed, but they can’t be too far from launching. “Ezugi has created a way to turn any land-based Barracat table into an online offering with a simple implementation onsite driving instant traffic upon launch. 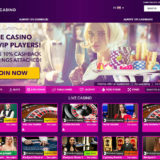 Ezugi’s OTT product is a natural expansion of the Ezugi Network strategy where we aim to become the biggest pool of table games by connecting land-based casinos around the world under one shared game lobby. Joining our regulated network by adding simple equipment on top of tables instantly generates money to the land-based Baccarat hosts. OTT Roulette is a bit more advanced and is already available. It’s being streamed from the Portomaso Casino in Malta, who also provide live streamed tables to other suppliers. A popular place! There are two tables being streamed on a 24 x 7 basis. You’ll be able to play on your PC or mobile device and you’ll be playing alongside real players in the casino. Here’s a couple of videos showing the stream on a desktop and mobile device. I love innovation in Live Casinos. It’s great to see what software providers are willing to do to give players choices over the playing experiences they can choose from. 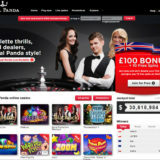 Equally important is the ease of integration for the online casinos and being able to offer players an easy way to find the game they want to play. Ezugi seems to be working in the right areas. To be honest I haven’t been a fan of land based streaming in the past. But the technology has moved on tremendously and has made a huge difference to the quality of the product. I’m looking forward to trying out the new tables at Ezugi.